The City of San Diego and the San Diego Police are gearing up for the thousands expected to commute locally on national Bike to Work Day on Thursday. The city’s pit stops will be among 100 operating from 6 a.m. to 9 a.m. throughout San Diego County. SANDAG has posted a complete map online. Riders returning home from downtown San Diego can visit the Civic Concourse beginning at 3:30 p.m. to gather and recharge with music and snacks before their ride home. “Bike to Work Day is a great opportunity to try riding to work for the first time. 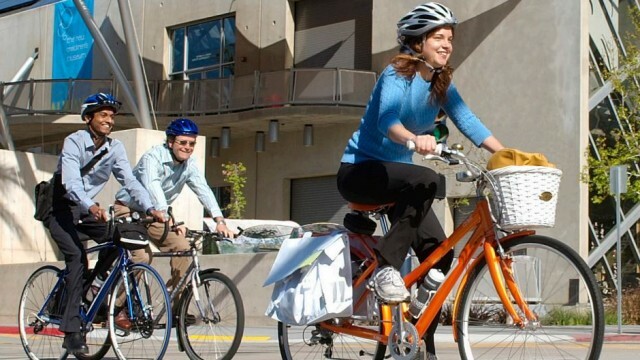 Beyond health benefits and saving money, riding your bike helps San Diego reach our important active transportation goals,” said Cody Hooven, the city’s chief sustainability officer. The police department has been holding information sessions to offer advice on safe biking and the rules of the road. The city’s Climate Action Plan goal calls for half of all commuter trips to be taken by bike, on foot or by public transit by 2035.